Flyers can make a great impact at the trade shows and marketing events. Our company creates cool flyers that have good textures, shapes and some are even 3-d types. We offer a unique and instructive flyer design that helps us to reach out to our target audience. We use creative concepts and qualitative and eye-catching designs in our flyers. Through our flyers we spread message and brand any product in a professional manner. Our flyer design services are very cost effective and are available at an affordable price. We provide fast service with no compromise in the quality of our flyers. 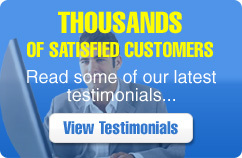 We assure that you will be totally satisfied with our work.